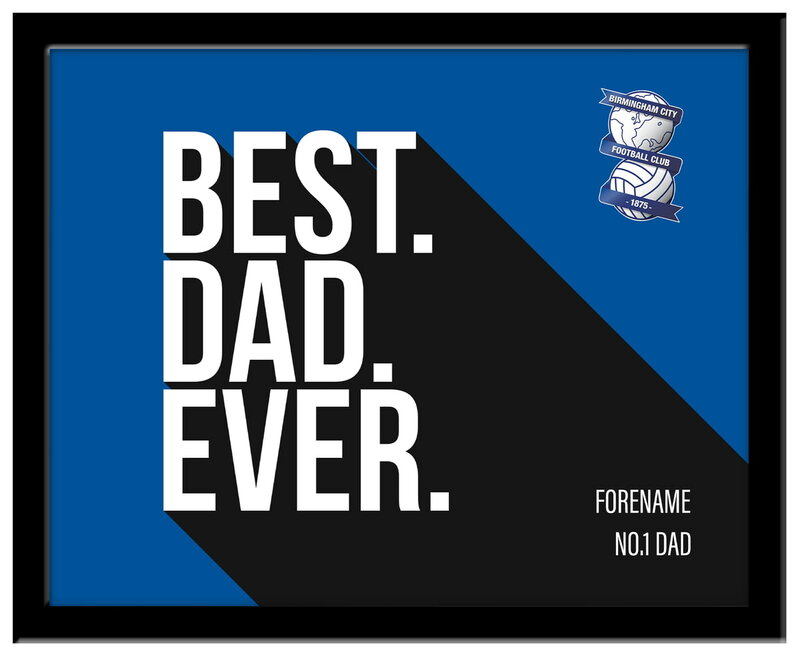 Our Birmingham City Best Dad Ever 10 x 8 Photo Framed is sure to raise a smile as the recipient sees their personalisation merged with a stylish design on a high quality framed print. A superb gift for any occasion. In Stock, Dispatched in 1-2 days + delivery. Available for Express Delivery (if ordered before 12pm). This truly stunning gift is sure to raise a smile as the recipient sees their personalisation on the Birmingham City Best Dad Ever Mug. Our Personalised Birmingham City Bold Crest Print is sure to raise a smile when the recipient sees their personalisation on the Bold Crest Print.